Wow, freezing rice–never done that! In part because we eat so much of it, we make a pot almost every day and save for lunches etc. 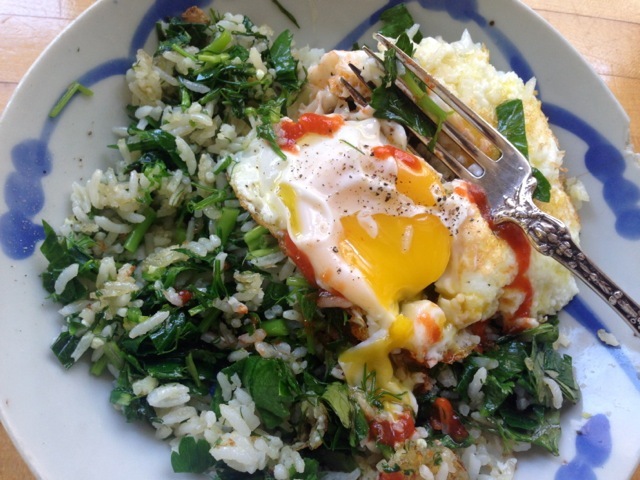 Anyway–this looks delish and this is one of my favorite meals too, rice and an egg! Thanks! Yeah for rice and eggs. 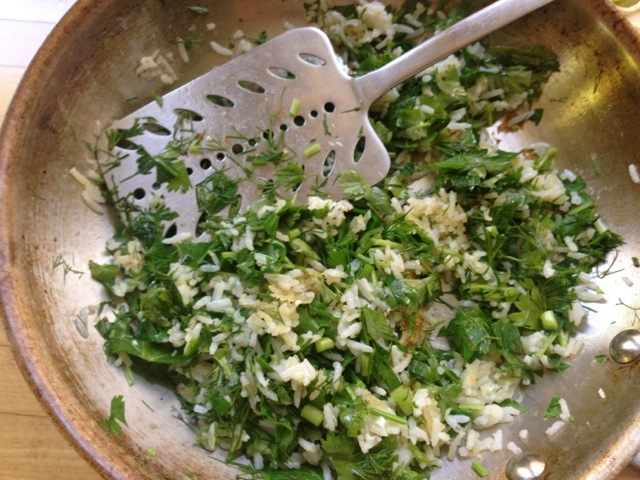 The quantity of herbs seems staggering when you do mix them in but it’s so worth it!